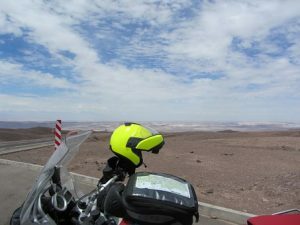 All motorcyclists dream of riding in exotic locales. That longing, it’s in our blood. Sometimes we see movies like Long Way Round/Down and think, “I’d love to ride there.” Other times we’ll see a beautiful landscape or glorious stretch of road while flipping through our favorite magazines or watching some movie or television show, and fantasize wistfully about what it would be like to be one with nature in that locale – with a motorcycle between our legs, of course. Even more often, we daydream while slogging through our daily commute, wishing the traffic and smog would just dissolve so we could find ourselves on a winding ribbon of asphalt, slicing through a forest or hugging some coastline somewhere. Anywhere but here.